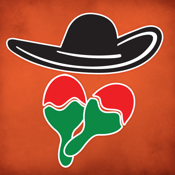 Download the app and enjoy a fiesta of savings from Mexicali Rose. From an exclusive download offer and loyalty punch cards to weekly dinner and happy hour specials, savor the flavors of fresh food, prepared to your liking and spiced just right. Old world recipes from the Yucatan Peninsula highlight seasonal fruits and vegetables, simply prepared cuisine, chargrilled goodness and generous portions. With lots of low-fat and vegetarian options, there is something to satisfy any app-etite. Try a frosty margarita, stop in for a late night nosh, call for carry out or check the on and off site catering options. Scroll through the app and enjoy the updates and savings from Mexicali Rose. The app from Mexicali Rose is free and you will receive your first offer soon after it is downloaded. Enjoy the authentic flavors of the Yucatan Peninsula right here at Mexicali Rose in Bethel, Connecticut. Fresh fruits and veggies, chargrilled meats and delicious drinks highlight the simple, yet skilled preparation of seasonal abundance for the best Mexican cuisine north of the Mason Dixon Line. Spice up your next corporate or social gathering with on or off site catering, or bring home a savory surprise for the family. Extend your date late with a drink and a nosh at Rose’s bar and take advantage of your app-only savings. Tap the app, enjoy the discounts and Viva la Fiesta! at Mexicali Rose.